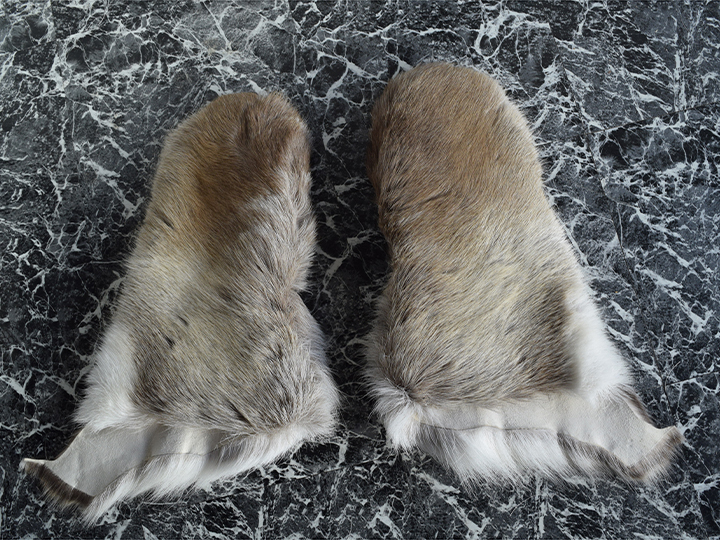 These are genuine reindeer/caribou fur gloves. Made to last, these long gloves are ideal for wearing around a fire after a day of snowmobiling. The bottom of the glove is long enough to tuck into any jacket, or can be worn outside of the jacket for added protection. 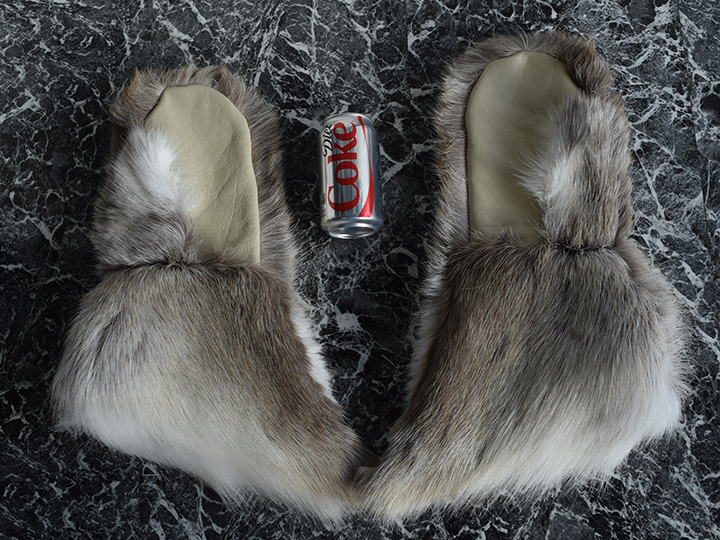 Fits most hand sizes. Not suitable for driving. Our Gxx codes denote individual pieces. 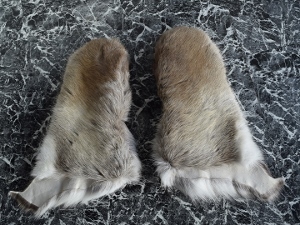 If you would like to order a specific pair, please go to our Gallery to pick the exact one shown.